The Juzo Attractive Thigh 23-32mmHg Sugar Compression Stocking with Open Toe sets new trends in the area of fine compression stockings, it comes in a wide range of bright and fashionable colors. The Juzo Attractive Thigh 23-32mmHg Sugar Compression Stocking with Open Toe has an especially fine knit, which gives it a transparency comparable to any fine stocking with a glossy finish. 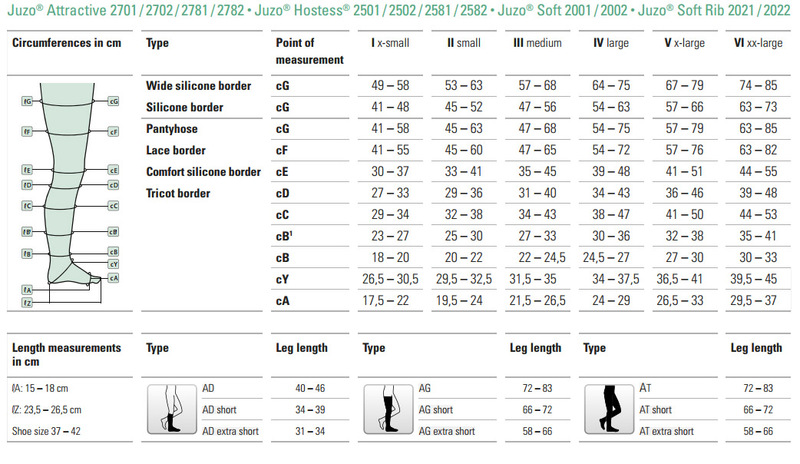 The Juzo Attractive Thigh 23-32mmHg Sugar Compression Stocking with Open Toe has a thickened ball of foot and heel area which ensures greater durability of the foot section. The Juzo Attractive Thigh 23-32mmHg Sugar Compression Stocking with Open Toe is also available in other colours, compression strengths and styles. Please note delivery time usually takes 3-8 working days. 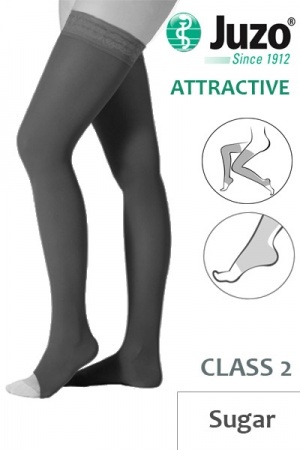 Juzo Attractive Class 2 Sugar Thigh High Compression Stockings with Open Toe are non-returnable and non-refundable on grounds of hygiene.